This has been a dreadful season for the Buckeye Nation. 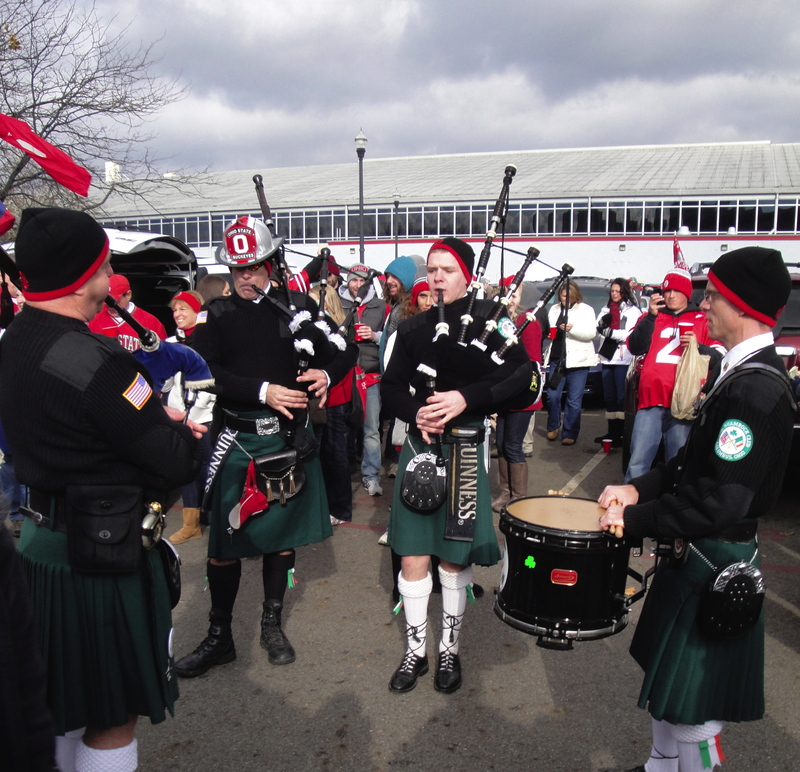 We’ve seen our coach, Jim Tressel, resign under fire. We’ve dealt with an embarrassing NCAA scandal that cut out the heart of our offense. We’ve watched the Buckeyes give up big leads, fritter away games, and play like pretenders rather than contenders. But all of that means nothing this week, because Ohio State is playing Michigan. To be sure, this year The Game has a different feel. For one thing, it’s coming after Thanksgiving, rather than the weekend before. For another, Michigan is the favorite for the first time in years. But so what? This is a game where the records get thrown out the window. 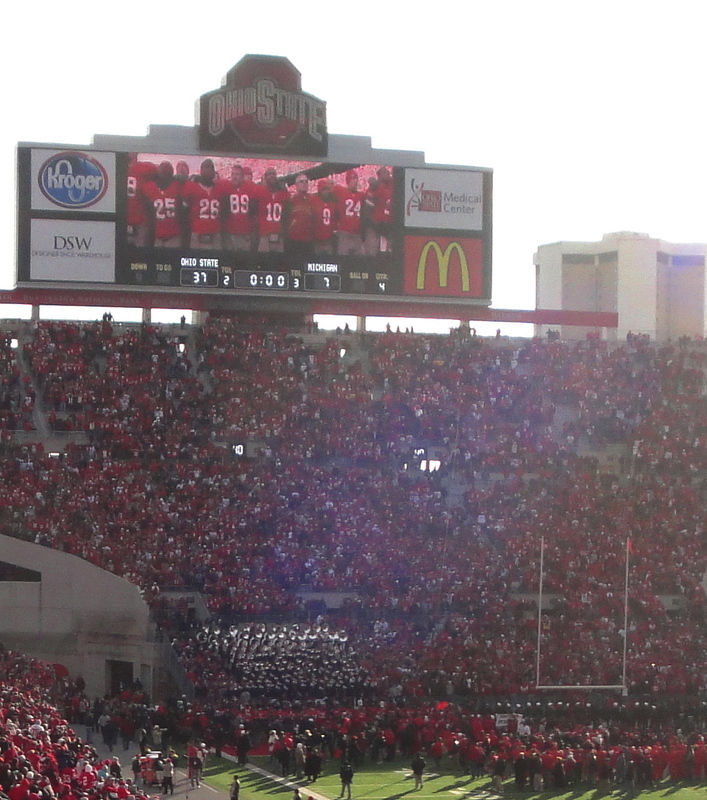 And if the Buckeyes can somehow beat the Wolverines, a dismal season will be salvaged. The Wolverines are playing The Game at home, and everyone expects them to win. They crushed Nebraska last week, their offense is clicking, and their defense is dramatically improved. The Buckeyes, in contrast, have lost two in a row. Yet . . . how will Michigan react to the high expectations? They’ve lost to the Buckeyes six games in a row, and every Wolverine fan thinks this is the year for the Maize and Blue to get some serious payback. If Ohio State can score some points and keep the game close, the pressure may work to the Buckeyes’ advantage. We’ll find out come Saturday — and until then we’ll enjoy the excitement and taunting that make Michigan Week so special. Weather conditions clearly can influence football games, and The Game is no different. The most celebrated example is the 1950 Snow Bowl, when a freak blizzard hit the day of the game and Michigan won 9-3. That loss led to the firing of Ohio State’s coach and the hiring of Woody Hayes — and the rest is history. This morning it is cold in Columbus — and more importantly from a football standpoint, there is a sharp, frigid breeze blowing from the west. It was tough to make headway when Penny and I turned west on our walk, and I would expect that the wind also would make it tough to pass, or punt. According to The Weather Channel forecast, the wind is expected to be blowing at 17 mph from the west come game time. Jim Tressel tends to get very conservative when the wind is a factor; if that tendency holds true to form I expect Ohio State will really focus on running the ball. Michigan Coach Rich Rodriguez, on the other hand, has nothing to lose. Windy or not, I think we will see the full Michigan playbook today. For Buckeye Nation, this is one of the most important weeks of the year. It is Michigan Week — seven days of nervous anticipation and intense mental preparation for the Buckeyes’ biggest game of the year. 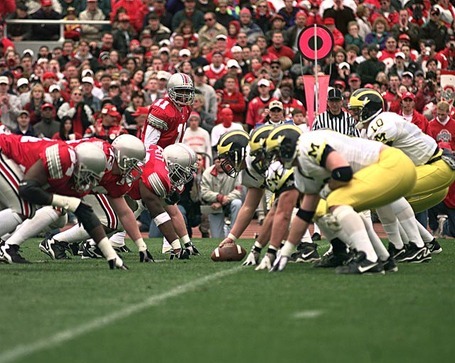 The week will come to an end at noon on Saturday, when Ohio State and Michigan square off in The Game, for another edition of the greatest single-game rivalry in sports. It’s weird to have Thanksgiving during Michigan Week; usually the game is played the preceding Saturday. The upcoming game will give a lot of Columbus families something to debate while gobbling down their turkey. I’ll have some thoughts about The Game later this week. For now, I’ll just enjoy the long-awaited arrival of one of the greatest weeks of the year. 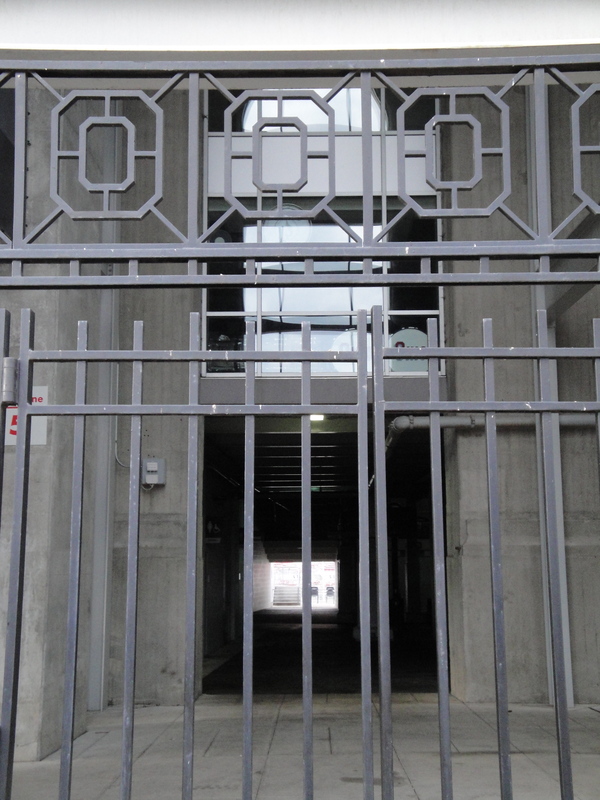 The Sox fan pointed out yesterday that, in the hoopla surrounding the Buckeyes’ first game, I failed to comment on Wednesday’s announcement of the Big Ten divisions and scheduling. 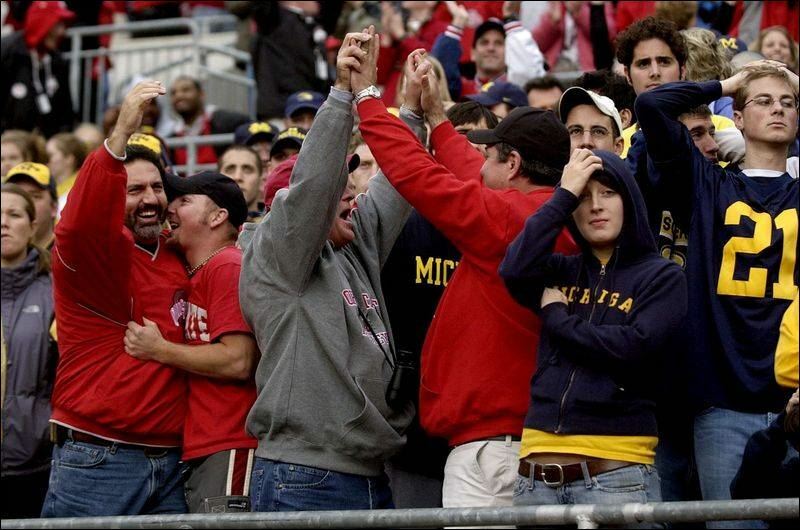 Ohio State and Michigan fans everywhere who were concerned that numbers-crunching, revenue-addled Big Ten administrators might ruin The Game can breathe a sigh of relief: Ohio State and Michigan will play every year, in the last game of the regular season, once the Big Ten starts divisional play. What about the fact that Ohio State and Michigan are in different divisions? Well, what about it? The divisions are phony constructs anyway, developed just to allow the Big Ten to play a conference championship and collect the additional TV revenue that every major college seems to crave above most everything else. The important thing is that the The Game will still have prominence as The Game — the tradition-rich, bitter, end-of-the-season capstone of the Big Ten regular season. As for the divisions themselves, the Big Ten clearly tried to achieve competitive balance and probably did so. 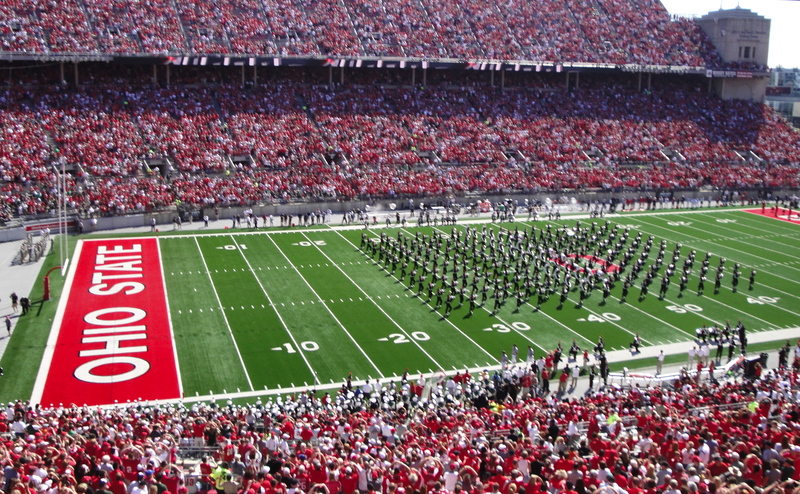 Two of the traditional football powers — Ohio State and Penn State in division X, and Michigan and Nebraska in division Y — are in each division and will play each other every year, and those teams also get a guaranteed out-of-conference game against one of the non-divisional powers, with Ohio State facing Michigan and Penn State facing Nebraska. In addition to Ohio State and Penn State, division X will include Wisconsin, Illinois, Indiana, and Purdue, and in addition to Michigan and Nebraska division Y will include Minnesota, Iowa, Michigan State, and Northwestern. Ohio State thus gets to continue to play Illinois every year for the Illibuck trophy. It would be interesting to know whether the outcry about moving the Ohio State-Michigan game had any effect on the scheduling decisions made by the Big Ten, but we will probably never know the full story.